Announcing the new addition to your family is something that need to be celebrated about, I totally agree!! Janny Soon, an old time schoolmate during the secondary school years made this order 3 weeks ago for her baby boy, BENJAMIN's full moon which falls on today - 22 March, 2011. 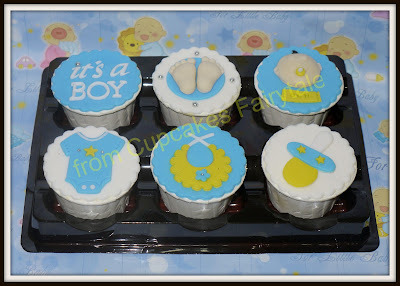 Janny was having a small party with only close relatives attending , and she would like them to have a special gift in the forcums of 'cupcakes' with a Baby Boy Blue theme. 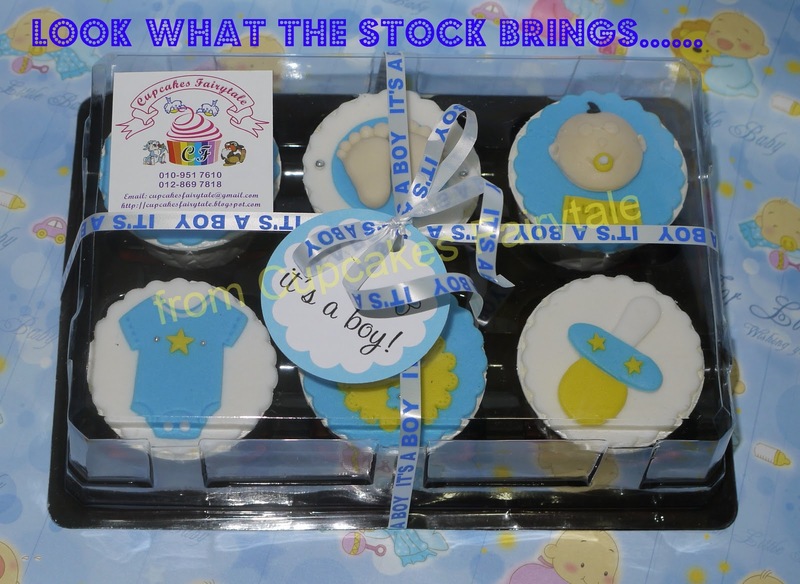 The package consist of 6 pieces of 2" inch 'Citrusy Lemon cupcakes with Rich Cream Cheese 'and specially handmade fondant designs resembling the arrival of a Baby Boy. 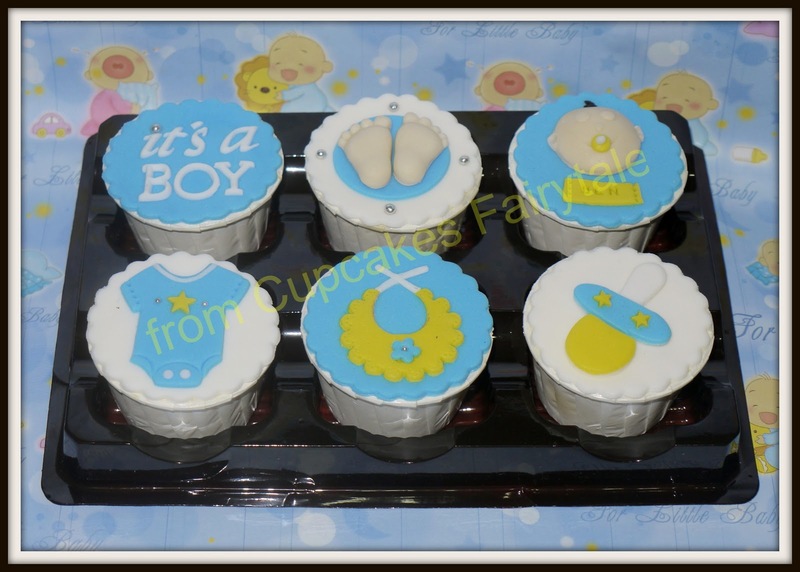 I personally made the delivery so that i can get a chance to catch a glimpse of Baby Benjamin and his Mummy and sent my warmest "Congratulations" to both of them and of course a big "Thank You" to Janny for the order. Happy Full Moon to Baby Benjamin! !